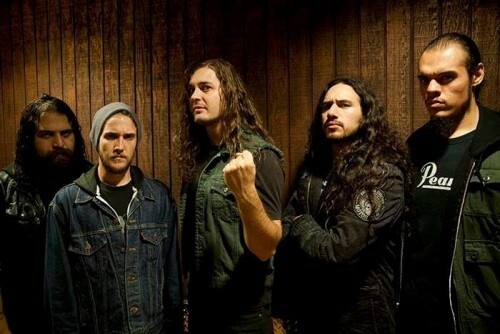 California thrash metallers Warbringer are preparing to tear across North America. The tour will start January 5 at the Gramercy Theatre. Warbringer will co-headline with Enforcer. Exmortus will open and Cauldron. 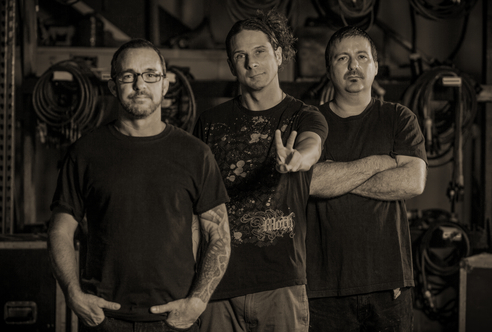 Check out a comment from vocalist John Kevill and the full list of tour dates here. 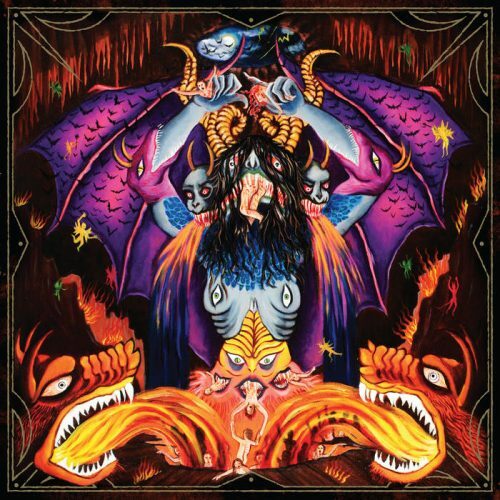 Enforcer are back with a sturdy classic heavy metal by the books record. The debate is always raging if this style is mroe pure or if people are just retreading the past. 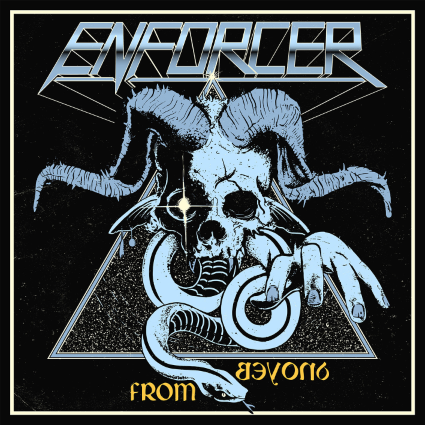 Whatever you think, Enforcer have written a great metal record that could have come out in 1986. 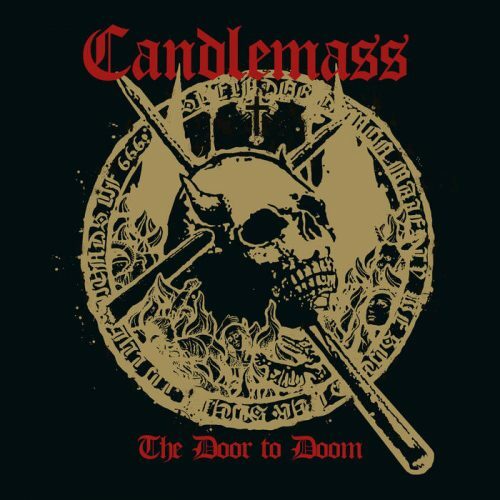 The band claim they don’t limit the type of music they write but this album is all clearly under the classic heavy metal sound genre. 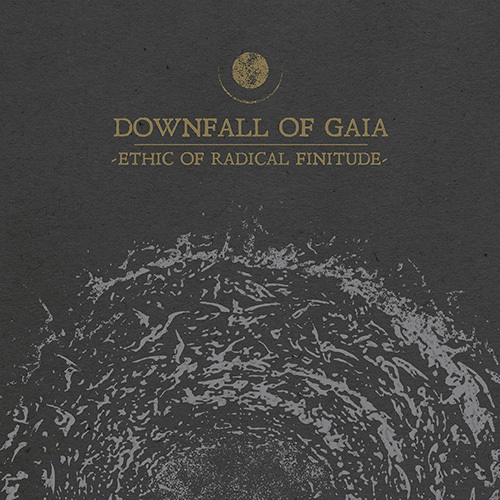 Ripping solos, soaring/shriekd vocals and mostly breakneck tempos to start up a thrashing intense time. “One With Fire” or any of the tracks really all have something to offer and could each be singles in their own right, though again this is for a certain type of fan with a retro bent. 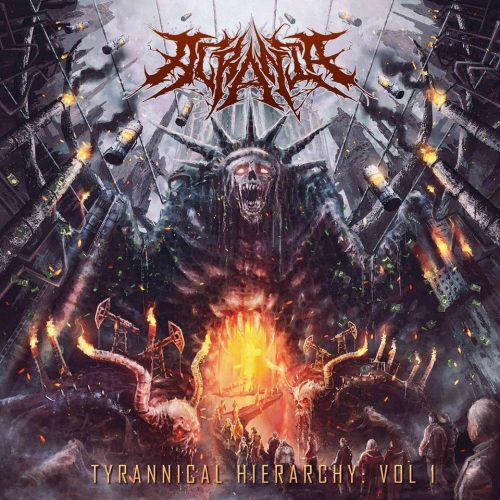 Hints of early Metallica and also nspired by eastern European metal bands from the late 80s and early 90s, such as CREDO, MAGNIT, POKOLGEP and KAT, this record is unabashed heavy metal pride. Proto-ballad “Below The Slumber” features a sick melodic, piercing vocal from very talented singer Olof Wikstrand. If it was the 80’s this dude would be a metal god, for sure. 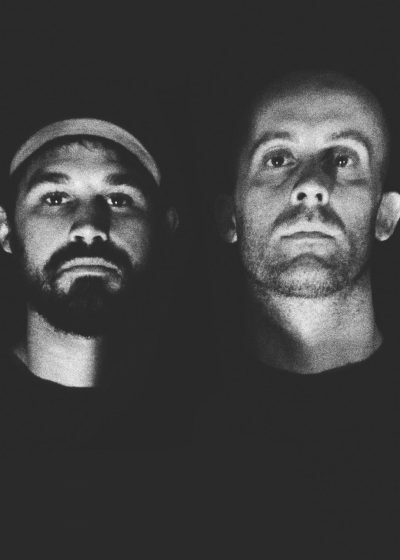 The arrangements are rewarding if traditional and you’ll be undeoubtedly banging your head or making a “this is cool” face, furrowing your brow and nodding along, tapping your foot to these “anti-existential” leaning songs as the dual guitars carry you along/aloft. 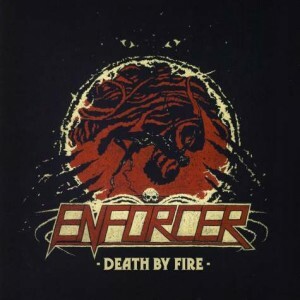 On Friday, old school heavy metallers Enforcer released their new album, Death By Fire, put out by Nuclear Blast. If you want to take a listen, you can stream it here. Swedish heavy metal band Enforcer have signed to Nuclear Blast. 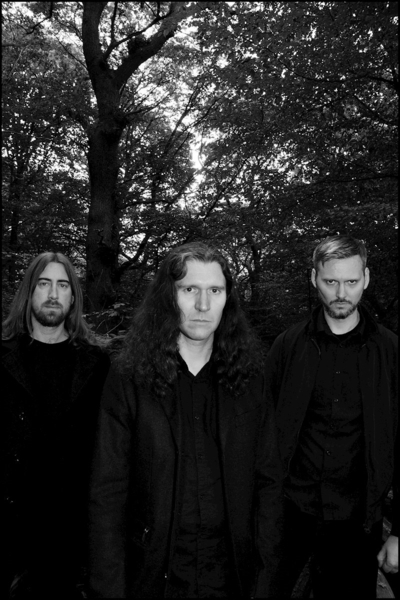 The band is set to release its third full length album, Death by Fire, in February via the label. Swedish heavy metal band Enforcer have announced the plans and dates for a co-headlining tour with Bullet. The tour will begin April 7th in Germany and end April 23rd in Belgium. Click here for the full dates. 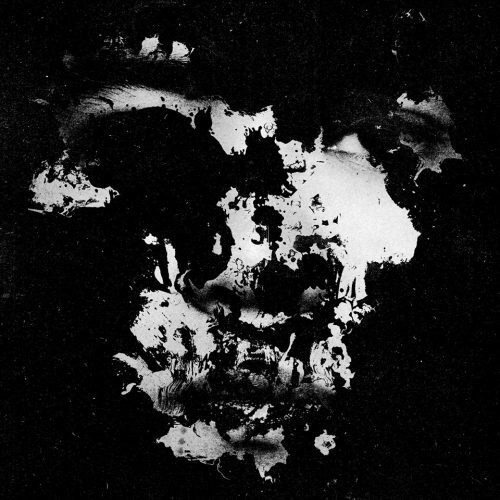 The band’s latest album “Diamonds,” was released from Earache Records on May 25, 2010. 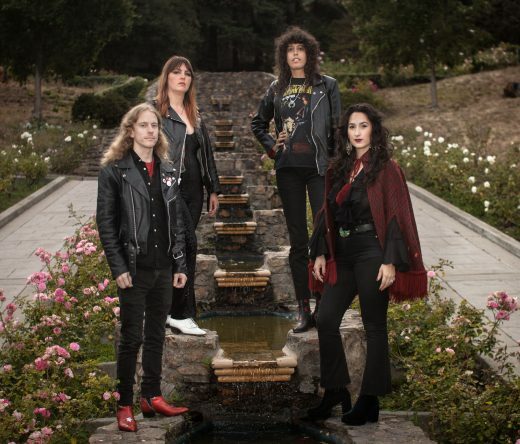 Swedish heavy metallers Enforcer are back on the road for their European tour with Australian hard rockers Airbourne, following a bus crash last week in the band’s homeland. Enforcer were travelling from Oslo to Stockholm on the morning of November 10th and were near their hometown of Arvika when their vehicle skidded on ice and collided with a snow-plough. Enforcer’s vehicle was destroyed in the accident, but the members of the band all survived with only minor injuries. Following a short break to recover from the incident, the band is now back on the road and will be rejoining the Airbourne tour tonight (November 16th) in Berlin, Germany. 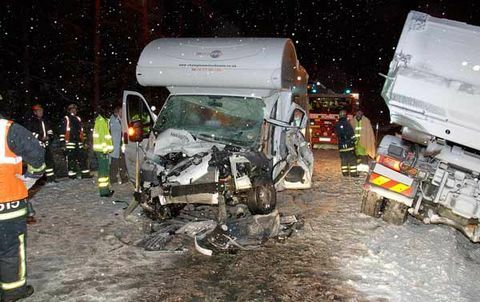 Swedish heavy metal masters Enforcer have been involved in a serious bus crash while on tour in their homeland. The band, who are on tour in Europe supporting Australian hard rockers Airbourne, were travelling from Oslo to Stockholm in a snowstorm at around 3:00am on the morning of 10th November and were near their hometown of Arvika when their vehicle skidded on ice, crossed over to the other side of the road and experienced a head-on collision with a snow-plough. Enforcer guitarists Adam Zaars and Joseph Tholl, bassist Tobias Lindqvist and the band’s driver were battered and bruised, but miraculously all survived the crash with only minor injuries. A county police officer at the scene said, “They had a guardian angel”. The band’s vehicle was destroyed in the accident, but their equipment, which was in a trailer attached to the vehicle, was luckily unscathed. Enforcer frontman Olof Wikstrand and drummer Jonas Wikstrand were travelling in a separate car at the time and were not involved in the crash. The band have regretfully been forced to cancel their appearances tonight in Sweden and on the 12th and 13th November in Finland and will be using the time to recuperate and recover from the nerve-wracking incident. They will resume the tour on 16th November in Berlin, Germany. To view a picture of the bus after the crash, click here.